Across the United States, there are countless locations for those who are diehard fanatics to hike during the cold winter months. Challenging and as icy cold as a fireless hearth, these trails are ideal for those who are willing to pull out the snowshoes, AT skis, or crampons to tackle the trickiest winter hikes. This article, however, is not focused on the icy or snow-lined trails. While we have mad respect for those who ice pick their way up the side of a mountain peak in the dead of winter, we also recognize that not all of us are equipped for the rigors of severe winter weather. This article is not about adventure in the chilly climes of the Nordic north or blustery high-altitude ridgelines. No, rather, this piece is about escaping the fridgid temps during a time of the year you might normally be bound to the couch due to your fear of Jack Frost and the Polar Vortex. The towns on this list cater to those who are seeking a respite, an escape to somewhere milder, somewhere trail adventures abound and sunny mild temperatures persist. Some of these locations even claim dominance in winter compared to their sweltering summer alternative. While other articles are advising you to dust off your parka, wax your skis, and sharpen your ice ax, we are here to suggest hopping in the car, snagging a Southwest ‘wanna get away deal’ and heading to warmer regions. So lace up those boots, hiking season is long from over! While many people envision vast and empty deserts when they picture Arizona, Flagstaff is here to prove otherwise. Serving as the gateway to the San Francisco Peaks, Flagstaff is the perfect jumping off point for exceptional winter hikes. Resting at 6,909 feet of elevation, Flagstaff itself does see a fair share of winter. However, with an average of 266 days of sunshine, Flagstaff offers a brighter and more enticing version of this typically colder season. Book a stay here to enjoy the incredible culture of Flagstaff with easy access to nearby southern warmth. Drop four hours south and enter Ironwood National Monument, a true winter oasis. The desert land here is a scorcher come summer, which makes winter the ideal time for a hike through this incredible wilderness. The Ironwood National Monument contains incredible stands of Ironwood, as well as numerous mountain ranges. Elevations in the park vary from 1,800 to 4,261 feet, offering a little something for any level of hiker. 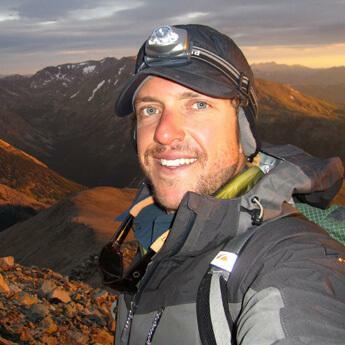 Tackle the summit to Ragged Top Mountain to experience a truly breathless view. With highs in the 60s during the winter months, this is an ideal location for hiking enthusiasts who would rather skip the snow-laden path. The Ironwood National Monument isn’t the only easy day drive from the snowy hills of Flagstaff. 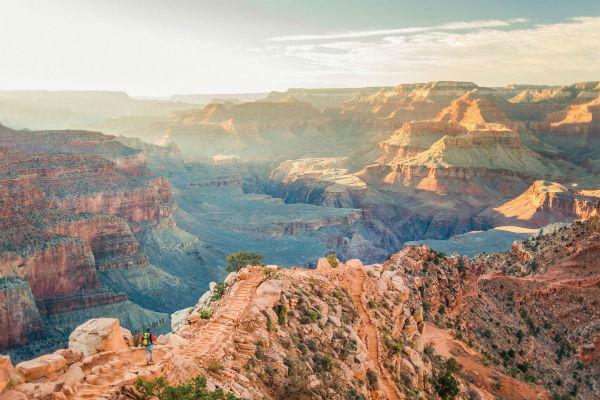 The Grand Canyon National Park is less than a two-hour drive away. While this area does experience winter, there are many sunny and mild days that are perfect for a visit to the South Rim Village. The best part of visiting this esteemed national park during the winter months is the lessened traffic. Whether you opt for a rim trail ride by mule or you decide to venture on a short hike, the winter sun brings incredible hues to this already stunning park. For those who are seeking a bit more of a challenge, head 45 minutes south to Sedona to tackle Bear Mountain Trail. This short, but intense hike, ends with an incredible view of the highest point in Arizona, Mount Humphrey. Be prepared for a steep incline the entire way, some rock scrambling, and the potential for winds. Pack plenty of water, wear sturdy footwear and enjoy the mild winter temps of the area. 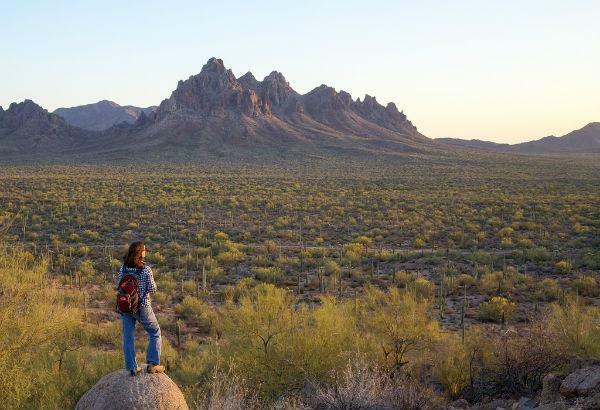 While Arizona undoubtedly offers far more than just desert trails, there are plenty of stunning desert hikes for those interested. In the Santa Catalina Mountains, five hours south of Flagstaff, mild winters reign. 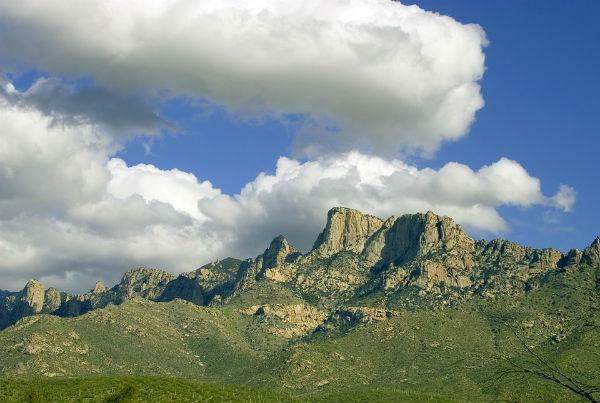 Hike the Esperero Trail and enjoy incredible outlooks and unique formations, such as Cathedral Rock. While the desert does experience warmer temperatures than up North, make sure you pack some warm clothes as areas of the trail can experience colder weather and the potential for snowfall. This trail will provide you with incredible beauty and tranquility, but be forewarned — this is a trail best explored by experienced and prepared hikers. Finally, while you might not have enough time or gumption on your hands to tackle the full 800 miles of the Arizona National Scenic Trail, a visit to Flagstaff will allow you to at least say you’ve traveled a portion of this iconic trail. In fact, Flagstaff boasts the only urban passage of this trail. 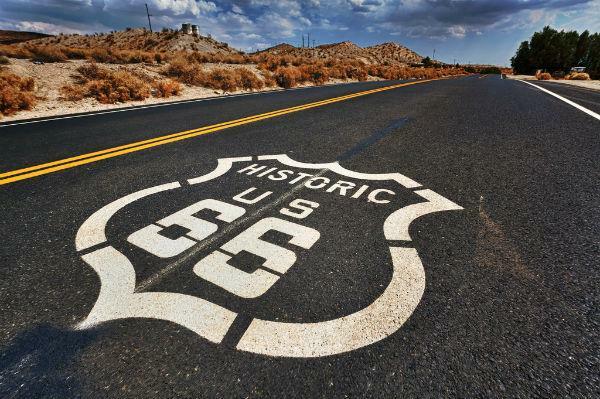 Travel a short portion of this trail through the middle of town from Interstate 40 to Route 66. This portion of the trail is paved and follows along streets, making it an enjoyable addition to a leisurely day spent in the city. At the top of our list, Flagstaff truly allows you to enjoy the best of both worlds. With a snowy winter in town and plenty of nearby warm getaways, there is a little something for everyone. Finish your day of hiking with the beautiful views of snowy mountains as you relax in downtown Flagstaff, a city ripe with culture, events, and good food and drink. Perhaps no location in Texas represents their state song’s line “The stars at night are big and bright, deep in the heart of Texas,” quite like Alpine. This small and remote Texas town is located deep in the southernmost tip of the state and acts as a gateway to one of the most stunning hiking areas Texas boasts — Big Bend National Park. No matter where you are from, the impressive and unique terrain of this area will provide you with days of exploration. Getting to Alpine will be your first great adventure. Due to the remote location of this tiny town, you will need to fly into one of the two closest airports where you can rent a car for your trip. Midland International Air and Space Port is located between the cities of Midland and Odessa and is approximately 140 miles north of Alpine. Conversely, you can fly into El Paso International, which is 190 miles west of Alpine. For those who are seeking a true wild west adventure, the Amtrak offers a unique experience. Taking the train will allow you to scope out the beautiful countryside as you peruse your trail maps and plan your upcoming hikes. Once you have settled into the sleepy town of Alpine, it is time to decide which nearby locations to explore first. One popular trail that puts to rest the idea that Texas is nothing but flat terrain is the Big Bend National Park South Rim Loop. This is an 11.6-mile long loop that shows off the wooded bowls of Boot Canyon and summits at 7,832 feet atop Emory Peak. Enjoy gorgeous vistas of the Chihuahuan Desert, which straddles the nearby United States and Mexico border. 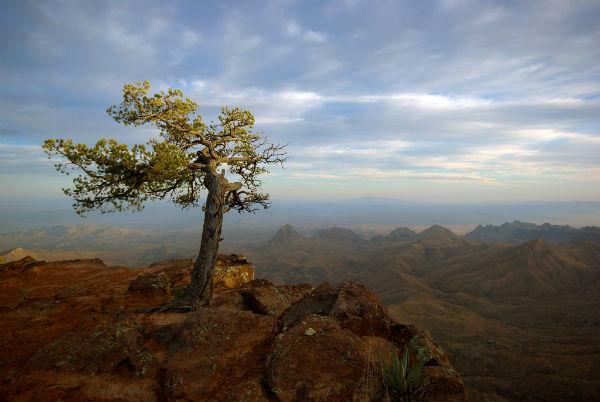 For those who love a mild, winter hike, Big Bend’s trails are a must. In fact, during the summer months, many of these trails can become excessively hot. However, as winter settles into the area, temperatures become comfortable and inviting. January boasts the coldest temperatures with average highs in the low 60s. While Big Bend National Park is undoubtedly a hiker’s paradise, locals will also tip their hat to the neighboring Big Bend Ranch State Park. This remote park is less traveled, which makes it a favorite for those seeking solitude and incredible views. 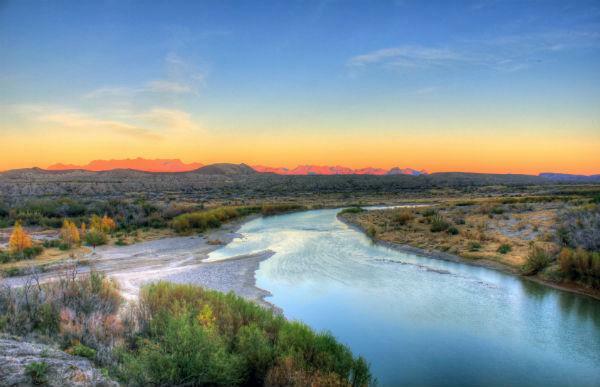 Enjoy backpacking, hiking, mountain biking, and even paddling the Rio Grande in Texas’ largest state park. If you plan to spend some time in this treasured park, be sure you pick up permits, maps, and necessary licenses. While the Big Bend parks are the main event in the Alpine area, the Chihuahuan Desert is not to be forgotten. Boasting its own array of trails, the Chihuahuan Desert Nature Center is just a short drive north of Alpine. Here you can explore on your own, or visit on the first Monday of the month for a gentle, guided morning trek either through the Botanical Gardens, the Hummingbird Trail, or around the short Upper Loop. No matter which parks you choose to spend your days hiking in, be sure to catch the incredible display of the night sky while visiting Alpine. North of town lies the McDonald Observatory, where you can attend famous star parties and view heavenly bodies through some of the largest telescopes in the world. Head west to experience the mystery of the Marfa Lights or the strangely remote and empty Prada Marfa art display. After all that hiking and traversing around the dusty desert and pointed peaks, enjoy classic 1950’s style American fare at Penny’s Diner or sip a pint with gorgeous views at Big Bend Brewery. If you thought you knew Texas, think again. Alpine is the perfect place for a hiking enthusiast who is looking to ditch the winter blues. 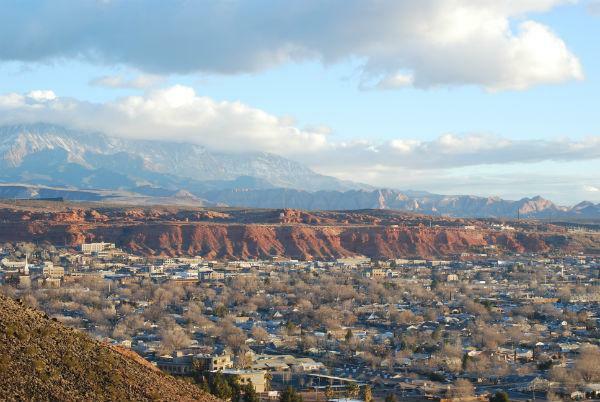 Well-known by locals as Utah’s warm-weather retreat, St. George Utah provides the perfect winter getaway for those who want incredible mountain vistas without battling frigid temps. 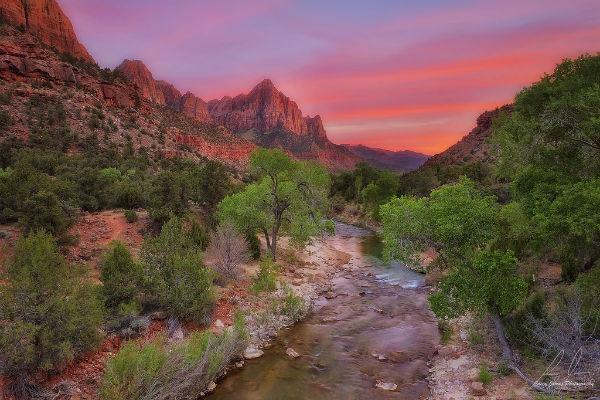 The home of Zion National Park, St. George offers a mecca of activities for the hiking enthusiast. Getting to this stunning town is simple. Either hop on a flight and land directly in St. George or enjoy a scenic two-hour drive in from Las Vegas, NV. Once you arrive, prepare to be dazzled by the beauty of the convergence of the Mojave Desert, the Colorado Plateau, and the Great Basin. With so many geographical wonders connecting in one spot, you will be treated to a colorful and diverse terrain. Average winter highs are in the 50s, making this an excellent time of year for a hike through the stunning and varied landscape. For those who enjoy the gorgeous nature of wintry snow but prefer to avoid slipping across frozen ground, trails in Zion National Park are a must. Not only will the winter months allow you to hike through the beautiful red rocks while gazing upon frosted peaks, but the winter will also bring fewer crowds, allowing for a truly therapeutic getaway. Keep in mind that while winter is milder here than you will find in many U.S. national parks, you should still prepare for some cold and the chance of occasional snow. An excellent choice for the winter months in Zion National Park is the Watchman. This out-and-back hike offers incredible views, including sightings of the Virgin River and the Towers of the Virgin. Featuring overhanging cliffs and incredible rock layers, the winter allows you to enjoy this normally crowded trail in peace and quiet. St. George truly boasts so many delightful winter trails that you will need to plan for more than a few days visit. 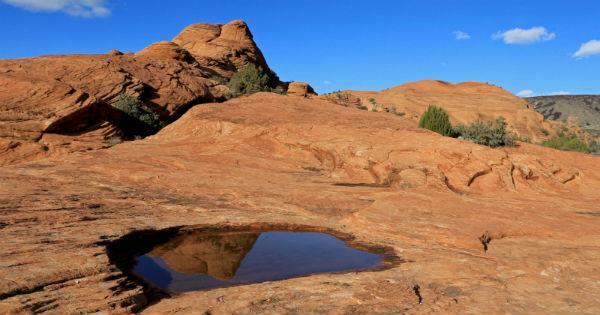 Another popular location for nearby hiking is Snow Canyon State Park. While there, be sure to check out Johnson Canyon Trail, a short but thrilling hike at the mouth of the park. Along this trail, you will be greeted by the beauty of natural springs and the area’s famous red rocks. With very little elevation gain or loss, this is an excellent trail to acclimate yourself with. For those who wish to stretch their legs on a morning run, hop on the Whiptail Trail for a quick jog along this paved trail. This wide and well-maintained trail follows the bottom of Snow Canyon State Park and provides a gorgeous view for your morning aerobics. If you want a little bit more of an incline, the Cinder Cone Trail is a must. Wear sturdy shoes and pants to protect yourself against the plentiful jagged lava rock found on this path. As you hike along the trail, enjoy observing one of the youngest lava flow areas in the Colorado Plateau. Finish off your hike by standing on the edge of the rim of a once active volcano. Finally, no visit to St. George would be complete without a visit to the Petrified Dunes Trail. This fairly mild hike is only 1.2 miles in length and allows visitors a chance to explore the once rolling sandy hills that now rest in petrified stillness. Views along this trail are incredible and the stunning lines and curvatures of the petrified rock make this a great photo op. From ancient lava flows to prickly cactus to colorful red rocks, the hiking in St. George is second-to-none. End the day with a bite to eat and a pint of local fresh beer at Zion Brewery where you can catch stunning views and live music from local bands. For adventurers who are seeking new terrain and a perfect blend of winter’s beauty without the need for ice picks and parkas, St. George is worth adding to the list. Nestled gently in the foothills of the beautiful Blue Ridge Mountains is Charlottesville, VA. While Charlottesville does experience some of the symptoms of winter with average temperatures in the upper 40s, the area only sees around seven inches of snow each year. The nearby mountains see a touch more of the powdery white, but for those who want an easy introduction into winter hiking and backpacking, Charlottesville is a great place to start. Nearby Shenandoah National Park is an excellent place to venture for those who want to trek through some of winter’s weather without facing the severity of the northern cold. For those who do make their way into Shenandoah in the off-season, they will be greeted with wide open trails and plenty of nature to observe. Locals have long enjoyed the stunning beauty of winter on the variety of trails offered. Nearby Bearfence Mountain is a popular short hike with an incredible payoff. The summit of this hike provides 360 views, making it a wonderful hike for an unforgettable winter sunrise or sunset. Be prepared for a short scramble to reach the best views and be equipped for chilly winds with a protective coat. Moderate in difficulty, this is a great hike for the whole family. 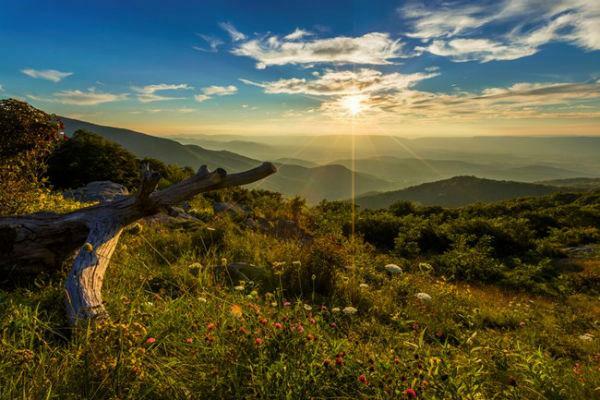 Shenandoah is also famous for hosting over 100 miles of the Appalachian Trail. If you have been itching to get your feet wet — or in this case snowy — test out your grit during the winter months. Come prepared with plenty of water and be sure you are equipped with maps and proper winter gear just in case. Enjoy the well-maintained and gentle grades of this section of the trail. The best part of testing out this portion of the Appalachian Trail during the winter months is that snow often shuts down Skyline Drive to motorists, allowing for a serene hike for those on foot. Shenandoah isn’t the only natural space near to Charlottesville. 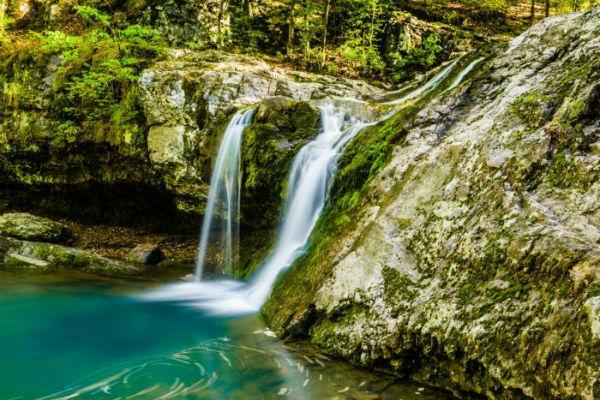 In fact, this Virginia town is well-known as a gateway for outdoor enthusiasts. For those who wish to remain in the more temperate winter weather of the township, the Rivanna Trail is a must. This trail system weaves throughout the greenbelt of the Rivanna River and its tributaries, creating a footpath that circles the entire city of Charlottesville. 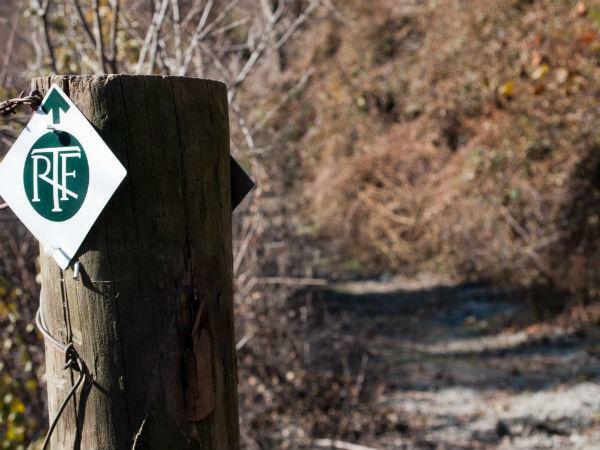 Traverse six miles north of Charlottesville to hike the many trails of Ivy Creek Natural Area. This scenic preserve hosts an array of terrains including open fields, streams, upland woods, rolling hills, and diverse habitats. Pick one of the 11 trails, each with varying difficulty to take a calm stroll or a challenging hike. Perhaps one of the greatest parts of visiting Ivy Creek is encountering a plethora of wildlife. For this reason, it is requested that pets are not brought into this area of refuge. 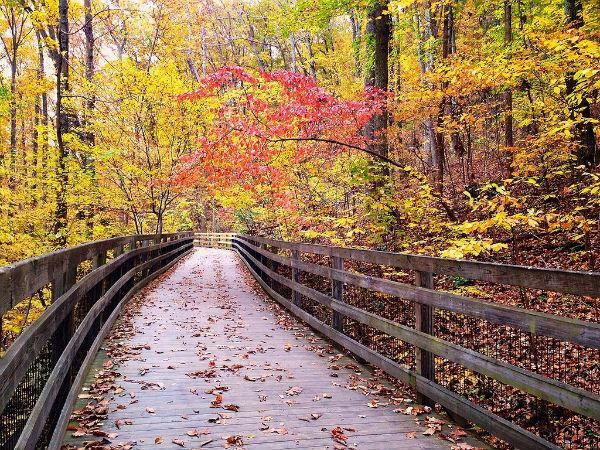 For the hiking enthusiast who also enjoys a good dose of history, check out the Trail at Monticello. 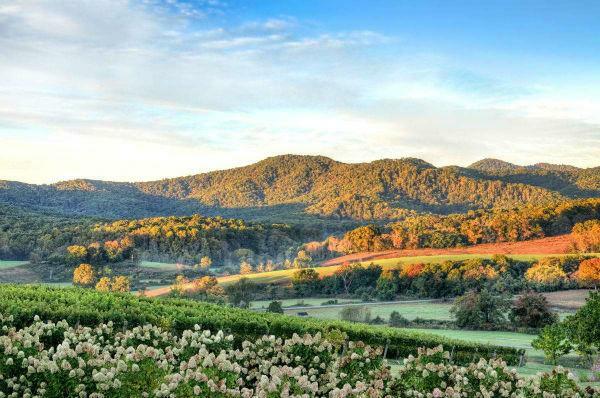 Here you can enjoy the gorgeous forests, deep ravines, and stunning views of the Blue Ridge mountains as you make your way to Thomas Jefferson’s famed estate, Monticello. After the excitement of exploring the vast and rolling hills of the Charlottesville area, make your way back to the beauty of the town itself. Here you’ll find restaurants that serve local produce, artisan cheeses, and the finest free range meats the area boasts. Whether you pop in for a local pint at South Street Brewery to swap stories about the day’s hike or you decide to dine in style at the Red Pump Kitchen in the historic downtown mall, you will find yourself swept away by the charm and beauty of this wonderful winter destination. 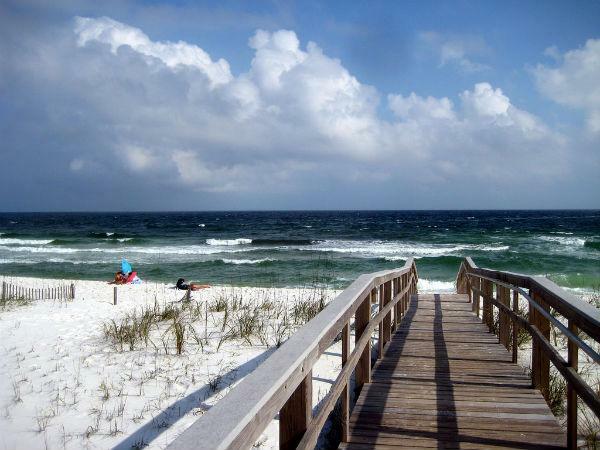 Finally, for those who truly wish to escape winter’s grip, head all the way down to Pensacola. This Florida town offers an array of outdoor activities that can be enjoyed regardless of the time of year. With average winter highs in the 60s and 70s and over 200 days of sunshine every year, it is little wonder that young and old alike flock to this beachside town. Getting to Pensacola is easy. In fact, the Pensacola International Airport acts as the gateway to numerous nearby locations. Lodging is ample and for those who wish to enjoy the most spectacular sunsets of their life, choosing a beachfront hotel is a must. While Florida might not boast the mountains and peaks of the locations above, you will enjoy a whole different side of nature in this portion of the deep South. 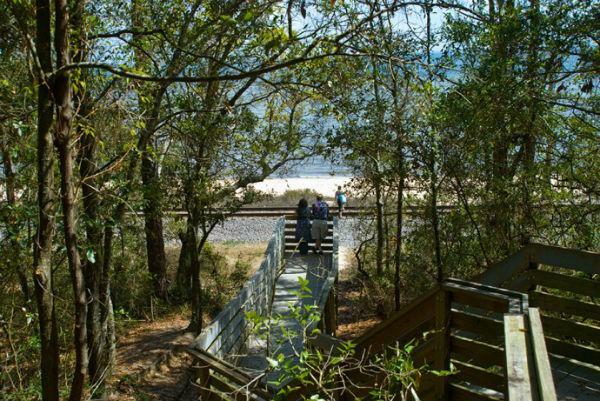 One of the first trails to hit is found in the Gulf Islands National Seashore. This park boasts the longest stretch of federally protected seashore in the entire nation. Prepare to spend a full day walking the endless miles of pristine white beaches as you traverse through this untouched land. The white sands of Pensacola are second-to-none and the sand is so soft, you might find yourself choosing to do this hike without shoes. Enjoy observing vast amounts of wildlife, both on land and at sea. A hike through this national park might even afford you the chance to watch a pod of dolphins swim by or encounter a sea turtle floating alongside you in the pristine and crystal clear ocean waters. While it might be hard to not spend every single day of your trip enjoying the stunning beachfront, there are many other trails in the area to visit. Check out the nearby Big Lagoon State Park, a coastal park with numerous trails navigating everything from marshes to woods of pine. Spend the afternoon leisurely hiking through the park and enjoy an array of Florida’s finest birdwatching. For those who want to experience one of the largest state forests in Florida, head an hour out of town to Blackwater River State Forest. Here you will experience a rare ecosystem comprised of longleaf pine and wiregrass. Red clay bluffs, steep ravines, and low-lying boggs come together to create a masterful experience of unique beauty. 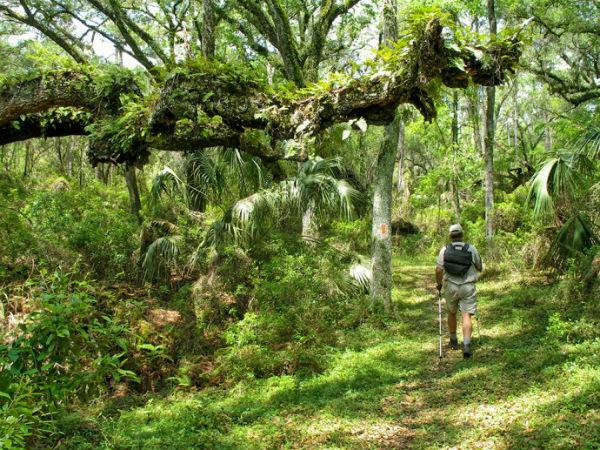 For those who have yet to experience the wonder of hiking through the vast vegetation of the Florida panhandle, this hike is a must. With over 600 acres of protected land, be prepared for a full day of hiking across gently rolling terrain. If you want to stick close to town but are looking for a uniquely Florida trek, make time to visit the city-owned Bay Bluffs Park. Here you will walk along an extensive boardwalk that leads you down steep slopes and through the thick of the forest. Make your way to the base of giant cliffs and take in a stunning bayside view. Only around a mile in length, this is the perfect hike to start off or end your day with. After soaking up the gorgeous winter sun along the beachside or a day spent trekking through the vast forests of the area, enjoy an evening out on the town. Downtown Pensacola is both historic and modern with a refreshed young vibe that is transforming the area. From the New Orleans style historic Seville Quarter to new craft breweries popping up around downtown, there is food and drink aplenty. 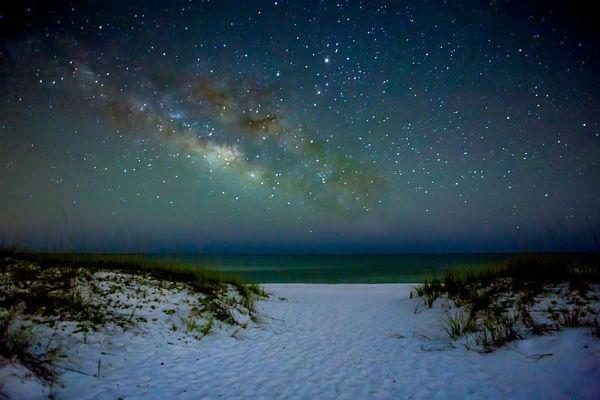 For those who enjoy mild hiking, almost zero chance of snow, and pristine beaches, Pensacola is the ideal winter destination. No list would be complete without a few of our closest runner-ups. While these three towns didn’t make the top five, they deserve an honorable mention as excellent winter destinations for those whose hiking boots are itching to hit the ground. With average winter temperatures in the 40s to 50s, you can experience just the right amount of winter in this Tennessee town. 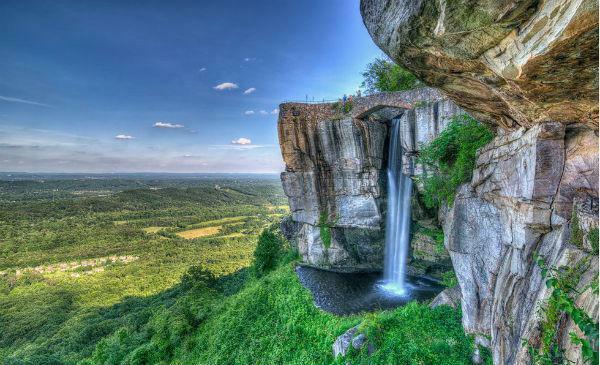 A visit to Chattanooga by a hiking enthusiast requires a trip to the nearby Cumberland Trail. While you might not want to navigate the full 330 miles of this stunning path, a lack of winter crowds makes it easy to enjoy even a one-day hike through this rugged landscape. 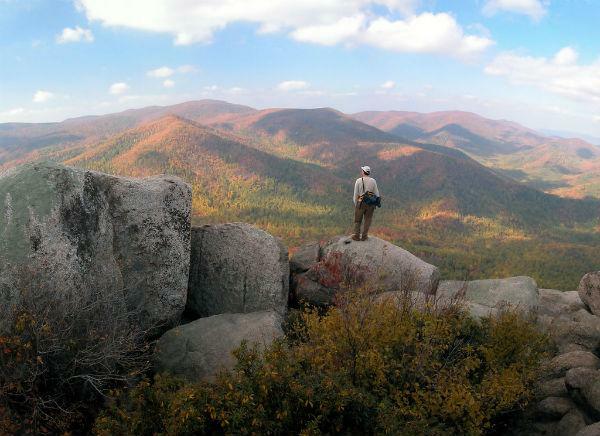 For many, Arkansas is not the first state that comes to mind when envisioning a hiking getaway. However, Hot Springs, Arkansas, is home to one of the oldest areas in the national park system — the Hot Springs National Park. Daytime highs in the winter are mildly cold, allowing you to take to the trails for scenic views. After a short trek through the woods, you will enjoy thawing away the winter chill in one of the many geothermal springs. At max temps of 143 degrees Fahrenheit, these hot springs are sure to transport you to warmer mindsets. For those who can handle the damp and dark of the underground, Carlsbad, New Mexico, makes an incredible winter hiking destination. Underground, the intricate cave system found at Carlsbad Caverns National Park remains at a consistent 56 degrees Fahrenheit no matter what time of year. 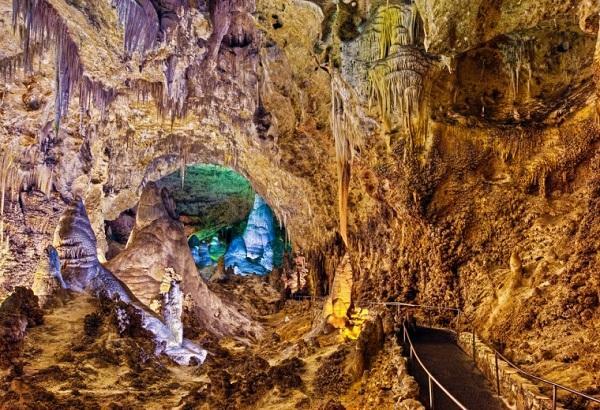 Escape the cold of winter as you hike beneath the earth and experience the surreal features of this underground wonder. Ranking as one of the largest cave systems in the entire world, you won’t be disappointed by the magnitude of this space. Whether you are a lover of the cold or you prefer to seek out sunny beaches when winter strikes, we hope you find a location on this list that inspires you to pull on your hiking boots and head out into the world. Don’t let the winter season hold you back from exploring new trails and falling in love with views unseen. RunRepeat.com loves all things active, from running to hiking and everything in between. We've developed CoreScore, a sophisticated rating system to help you find the best hiking footwear, from hiking shoes and sandals to mountaineering, day-hiking, and backpacking boots, at the best prices on the web. Check out our other articles about all the sports we fancy here at RunRepeat.